Twenty-five young women opted to spend their post-high school, pre-military service year at Midreshet Lindenbaum’s branch in the city of Lod, which launched in Fall 2017. Emphasizing social responsibility alongside a dedication to Torah learning and living, Midreshet Lindenbaum-Lod students reach out to the public by holding holiday celebrations in the city center, selling second hand items at the local shuk to raise funds for tzedaka, and welcoming local women for weekly classes. Students also volunteer with the city’s weaker residents and in the welfare department’s after-school programs, tutor underprivileged children, and assist children and adults who are mentally impaired or developmentally disabled. 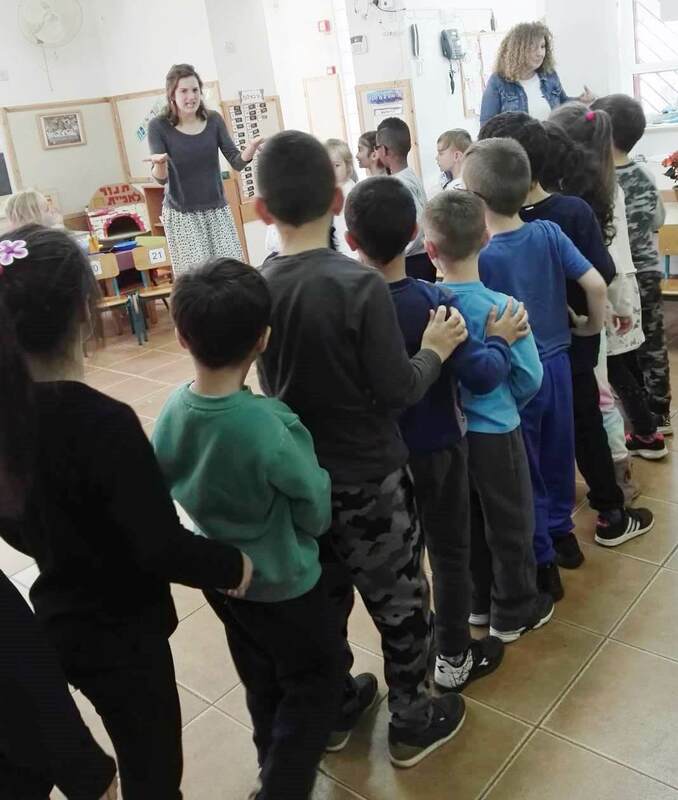 Pictured: Neta Zilber, who volunteers at a local kindergarten, teaches the children about Pesach by having them enact the Exodus from Egypt and baking matzot.